exelent breakfast! very clean and confortable place... nothing bad to say. The staff was really great and tentative. We were able to get extra blankets and they held our stuff while we went our tours, they offered a really great prices on tours too. We met the managers and they were so nice! They offered to help with transportation to Cairo because it’s hard for foreigners to get train and bus tickets, which we thought was great. The towels they gave us were thick and long. Very nice staff with great rooms. Highly recommend this place. 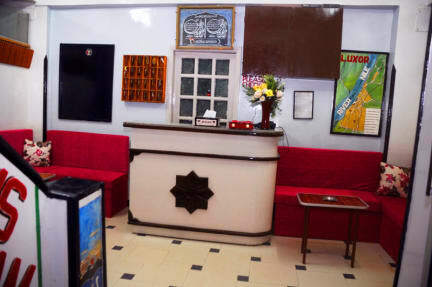 Staff are really friendly, and the room was the best I found of hostels in Egypt. 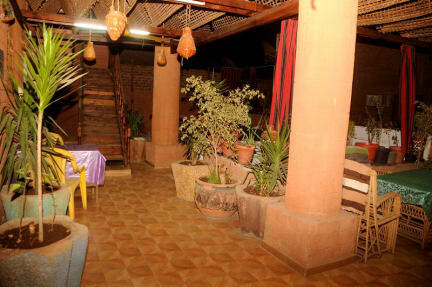 Comfortable bed and hot water, with a nice restaurant at the top floor where you can try local food. The manager was really helpful in organising some trips for me. Very good value budget hotel in a good location and kind staff - served us well. A solid budget option for foreign travellers when there aren't many around. Breakfast was solid and the upstairs patio is terrific. Be advised that the shared bathrooms while many are small and difficult to shower in.